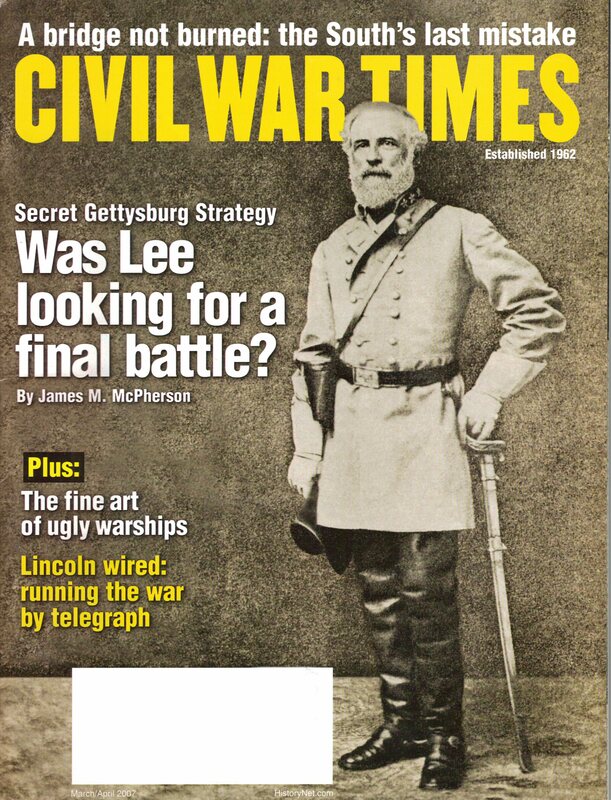 A definitive battlefield victory may not have officially been part of the Confederate plan in Pennsylvania, but strategic and tactical initiative was always part of Robert E. Lee’s plan. The Army of Northern Virginia’s final opportunity to escape Grant’s net disappeared on the banks of the Appomattox. Pieces from the USS Monitor Center’s collection illustrate that the famous Monitor–Virginia duel marked a sea change in naval art as well as technology. How Abraham Lincoln used the new technology of telegraphy to win the war and transform national leadership. Patriotic zeal and zest for adventure fired many a young recruit-then reality hit. Sheridan Shifts the Tide of War in the Valley. Revolutionary Exhibit for Revolutionary Ships. Intelligence: The Secret War Within the War. Big Trouble in the Big Easy for the Confederacy. Jesse B. Vick: A North Carolinian for the Cause. The Age of Machines and Steel.